Hello again. You seem surprised, but yes, it’s me, UEFACEF Champions League Group Stage. You may remember my older brother Knockout Stage from his time with you last May. Haha, what a character. He’s always messing with people. I dared him to let Chelsea win and, get this, he totally bought it. What a joker. But forget about him because I’m the important one right now. Forget to take me seriously and you’ll have to spend the rest of the season with our cousin, Europa League. You don’t want to do that. It’s really just not worth it. So pay attention to me, give me the attention I crave, and I may deliver you a trip to southern France in February…or a trip to Moscow. Mwahaha. You never know! I know, I know, you think I’m rigged. Manchester City, Borussia Dortmund, Ajax, and Real Madrid? Haha, oh man, you shoulda seen the look on Platini’s face when I said that was going to happen. He was all “This is totally the best Champions League year ever!” but I think he thought I was talking about the semifinals or something, but that’s my brother not me geez. Way to be insensitive, Michel. This year I decided to–surprise!–give Barcelona a really easy group. So I assigned them some piddling teams that will–aaahaha, one of them is in Russia and another one in Scotland. So much for a lack of traveling, mis amigos cules. The secret is that there are no easy groups. Even that group with Nordsjælland in it also has Shakhtar, Juventus, and Chelsea. So, sure, maybe they’ll all get 18 points or whatever the English media thinks Chelsea will earn off of their single visit to Norway, but turns out that Nordsjælland has Michael Parkhurst! He’s an American playing in the Champions League. Apparently Clint Dempsey should have moved to Norway instead of Spurs (zing!). But no one is actually watching Nordsjælland (or trying to pronounce it! ha!) because we all know that the final is at Wembley and we all know that that means we’re going to see Barcelona play someone into the ground there. It’s the deal that the English FA made for having the final being in their stadium: UEFACEF gets to put its favorite team in the big finale. Last year Bayern Munich went against the unspoken rule (unspoken outside the UEFACEF caverns, of course) that you cannot play the final in your own stadium and Bayern Munich were dashed against a brick wall of penalties. Michel Platini made all of the players wear ear pieces so he could tell them where to shoot and/or dive. Incidentally, Real Madrid didn’t get to go through because Mourinho once met a ref in the parking garage after a game to berate him and everyone knows that parking garages are off limits after games because that is where UEFACEF and FIFACEF meet with the people buying Barcelona’s next victory. And they do not like having their secret rendezvouses (is that word?) attended by people who just want their hand in that cookie jar. With Carles Puyol and Andres Iniesta out, it’s like the caveman and ghost viewership will be lower for this match. With Chelsea-Juventus and Bayern Munich-Valencia competing with it, the real human viewership is like to be lower too. It’s unlikely that little ol’ Spartak will draw the big channels’ desiring looks. Shakhtar-Nordsjælland is also at the same time! I just like to write æ. Maybe something obscure like Fox Sports en Espanol will show the match live. But it doesn’t matter because everyone knows the score will be 3-1. What’s the point of even watching. Messi will get 2. 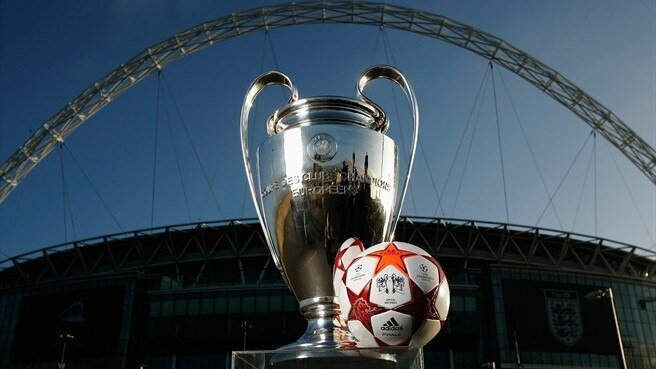 Spartak will get one. Then Villa will sub on and get a third because that is how he rolls these days. Okay, so we all understand this, right? Barcelona has to travel everywhere because The Powers That Be hate them, but they’ll win the Champions League because The Powers That Be love them. That’s clear, isn’t it? Nothing is a coincidence! Also, Knockout Stage is just scared of league formats. The excitement comes from not controlling your own destiny because you drew with like FC Kluj or something. *not strictly true stats, but you wouldn’t know by reading the Spanish dailies…though you would know by reading anything ever written about Unai Emory in those same Spanish dailies during his tenure at Valencia. The FA has found that there is still racism in football. Don’t know about you all, but I’m shocked. The same report said that as bad as racism is, homophobia might be worse. Then there’s this piece at Spiegel Online, about gay Bundesliga players who are afraid to come out. It’s a very good read. I think racism from fans mostly likely but how about from players? Don’t think it’s happening ever since the John Terry incident. Gosh that guy single handedly made a big issue on pre match handshake. There were even talks of scraping the pre match handshake. All cause of him. Creating a more open atmosphere for gays in professional soccer would also make teams more competitive, some argue. Tatjana Eggeling, a former professor of cultural anthropology who advises gay professional athletes, including members of the Bundesliga, argues that hiding their sexuality is an enormous distraction for gay players and keeps them from performing to the best of their abilities. Joke aside, it is an excellent article, but I do fail to see the correlation between being gay and getting injured more often. At the same time I do understand the players’ reticence. There can be all the platitudes and reassurances in the world, but most of these people making them don’t have to put up with the bigots and homophobes who can make life utterly miserable for gay folk – especially for those in the limelight. They also risk being called the “gay” player by every single journalist who will write about them, and emphasize their sexuality. Tito must have a lot of faith in Tello. The line-up writes itself. Subs for Villa and Alexis and Thiago I’d bet. Lets go!! !This is SPARTA BARCA!!! Where is everyone? Come on people, time to delurk. This midfield looks interesting. I would prefer not starting Xavi because he needs rest. I was hoping Song would start..And Villa.. I wonder why Tito is so reluctant to start Villa? He’s been fit for a while now. Well, watching Blue Hawaii, just prior to the match, it’s kind of relaxing :). Spartak often plays a relatively narrow formation with their wingers tucked in & their FBs acting as the primary source of width. From what I’ve seen – they play very direct, break quickly and use a great deal of movement. Their base system is a kind of 4-2-3-1. In build up though they often switch into a kind of 3-5-2 with one holding mid dropping between the 2 CBs and the FB pushed high as wing backs. In the defensive phase they often organize as a 4-4-1-1. When he was at Valencia Emery always looked to pull wide players from at least one flank into central midfield to create numerical advantage there – even if it meant leaving one flank open. I’d guess he’s going to try something similar today. Barca is going to need to use space on the flanks and width effectively today. Likely why Tello is playing. He needs to have a positive match as does Pedro.